In the presidential debate that took place last night, there seemed to be a strong sense that someone was missing. That someone was President Obama. Though the president appeared at the Denver, Colorado venue on his anniversary, no less, the president’s normal regal charisma and affluent delivery on the stage was somehow absent. 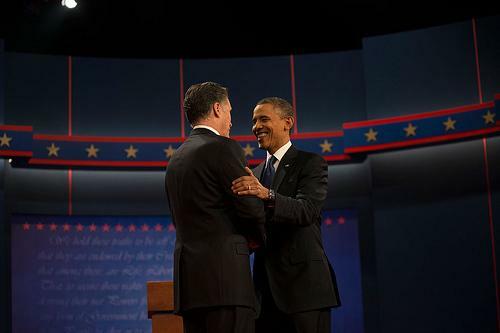 Instead, during the 90 minutes, Republican presidential candidate Mitt Romney took an aggressive front on the issues posed to both contenders, not only singling out the misgivings of Obama’s last four years, but also highlighting the intricacies of how his plan differed for the better. Romney, having already gathered a strong reputation for not being afraid to stand out in opposition, even confronted moderator and long time PBS affiliate Jim Lehrer, stating “I love Big Bird,” but that he would stop the subsidies to such publicly funded programs to ensure the reduction of the national deficit. Romney outlined a plan for more programmes to be run at the state level, citing the dismantling of nationally funded programs like Obama care, which he claimed were unnecessary expenditures increasing the budget. It was on this point of economic development that Romney, perhaps unsurprisingly, stood out. Romney skilfully framed the problem as a moral issue- calling upon the fears of those American’s that are weary of Obama’s high fiscal spending to drive his point home. The contender stated that it was immoral for his generation, “to spend massively more than we take in, knowing those burdens are going to be passed onto the next generation, knowing they are going to be paying the interest and the principle all their lives.” Romney’s detailed and confident approach left many believing Mr. Romney not only won the debate, but made up substantial ground amidst the past few weeks of media misspeaks. Where Obama failed was not in the defence of his attacks; but in that he did not attack. In an America that perceives itself to still be treading water amidst a 16 trillion dollar deficit, the scrutiny of the public eye on the current economic state was at its highest. Thus, the confident representation of Obama’s plan was necessary to bolster America’s confidence in its economic future under his authority. Instead, the president focused on Romney’s proposed tax cuts, and questioned Romney as to how the government would pay for such a policy. To the keen economic eye, the president’s juxtaposition skilfully undermined many ethical implications as to who would be responsible for those costs, cleverly bringing in the question of the middle class, a subgroup whose favour both parties find themselves vying for in these elections. However the president’s lack of detail in his follow up to these remarks was an untapped counter to the consequences of Romney’s emotively executed argument for protecting future generations. Furthermore, there were several hot topic issues of Romney misspeaks that Obama did not confront the Massachusetts governor on, such as drawing on the now famous 47% statement, to hot topics of immigration and abortion. These areas of republican rhetoric have been privy to contentious backlash in the previous weeks, and went untapped as areas of important concern. In his closing statement, the president spoke of drawing on the American people’s strengths to develop the country’s future. Skilfully, the president focused on how to cultivate these areas of strengths that the debate had not given much focus to, such as developing environmentally conscious energy products, investing in creating jobs within US borders, and perhaps of most importance, closing the budget in a responsible way. Yet the president could have done more to break these points down and bring it home to a nation that already teeters in his favour. His lack of clarity left the public without the ability to take home his own driving points for future policy, giving Mitt the advantage and leaving space in the presidential race for a comeback.